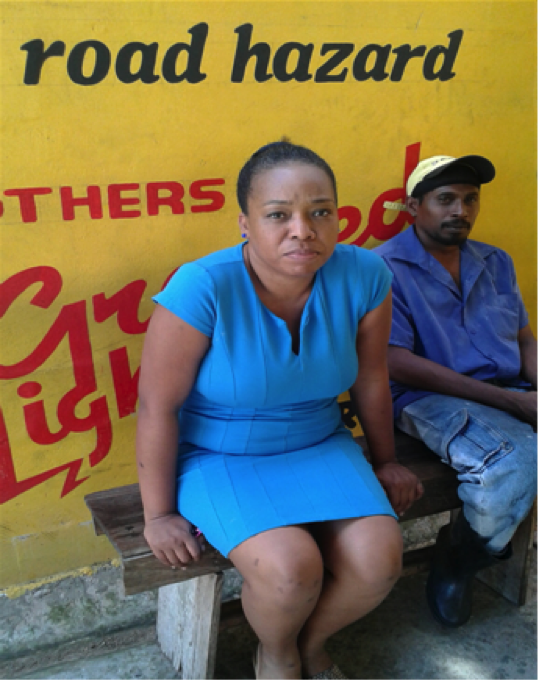 In Trinidad and Tobago we are often comfortable to wait on the “tyre repair man” to repair and or change your tyres. It is not really a ‘big deal’. It gives some of us some time to sit outdoors and engage in some ‘idle chit chat’, check our messages and emails, before we go on our merry way. 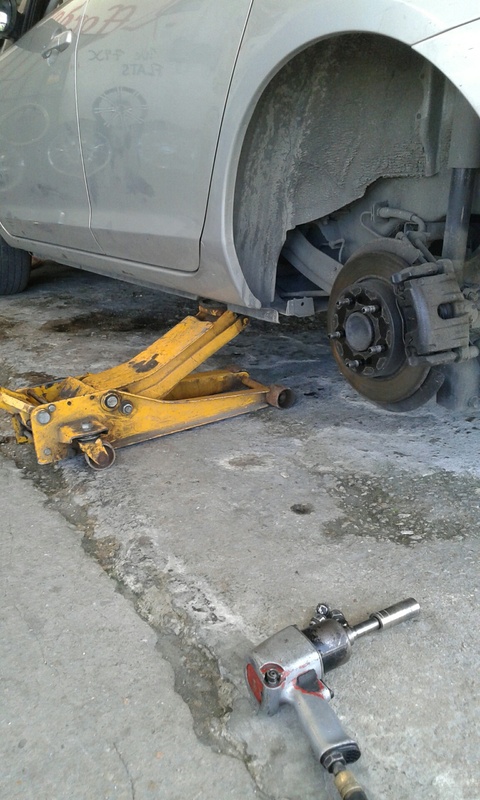 On my last visit to a tyre shop in central Trinidad, I, had to do a tyre change of a flat tyre. I was asked to have a seat on a bench on the outside of my vehicle whilst the tyre repairman changed the tyre. While I waited, I took the opportunity to have an informal chat with two of the employees who were working outside. “Wha is dat?” he replied. “Safety equipment, steel toe boots, safety glasses, gloves?” I answered and smiled. “Yea man we does get dat. We ha gloves an boots an everything.” The other responded, pointing at his feet that were sheathed in rubber gardening boots. “Do you mind if I take some pictures of your equipment?” I asked. “Go ahead nah.” was the response. They both smiled. “You know nah, buh nobody does ever get damage here!” the first one exclaimed. It was quite evident here that the workers at this shop were aware of wearing proper personal, protective equipment to prevent any physical hazards from happening. However, the behavioral attitudes of the employees, show that many unsafe workplace practices are still commonplace in our society. or even lead to our death? Take a moment to view this short video on risk assessment at a truck tyre shop by Michelin. 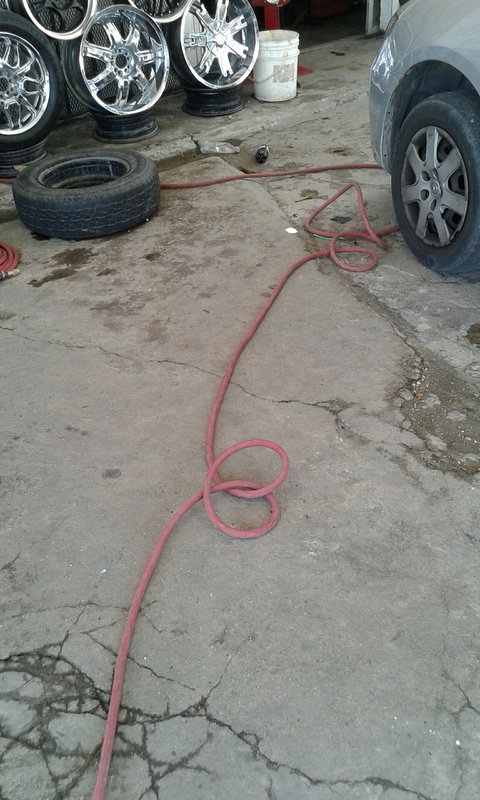 My group and I looked at this tyre shop, looking for evidence of awareness of OSH practices… or breaches. We found that most physical hazards present are mainly there because workers ‘simply’ created them. As seen in the photos below, working tools, unsecured and tangled hoses and even a tyre in the walkway presented many physical hazards. At this small establishment, equipment seemed to be lying everywhere. This negligence could be the cause of slips, trips, bumps and falls. Equipment was not put away leading to cluttered conditions in work/ shop floor area. Debris and moisture/ wet spots were also visible. Employees as well as members of the public could be injured by the sharp edges of cutting tools. 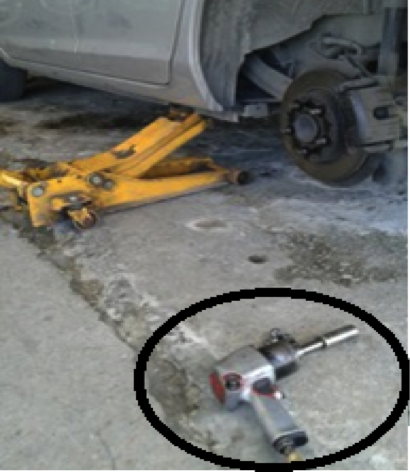 Although a jack is used, the equipment seemed to be very poorly maintained and there was evidence of rust, we questioned its reliability and safety. Equipment such as these are likely to subject the user to crush and pinch injuries should they fail. Workers need to be correctly trained how to protect hands and arms, when placing the tyres on the mold. According to Texas State University, mechanical hazards refer to moving machinery that can cause injury or death. 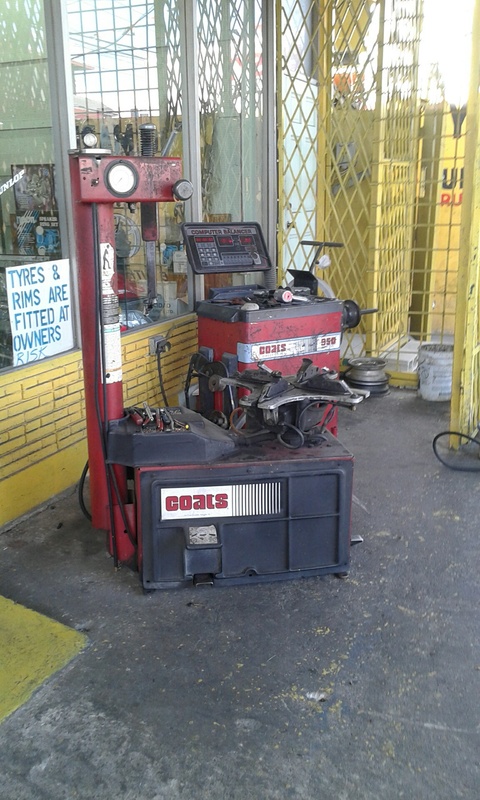 At this tyre shop there were many machines with movable parts making the potential for death, dismemberment or disfigurement very high. Especially if they are altered or are poorly maintained. 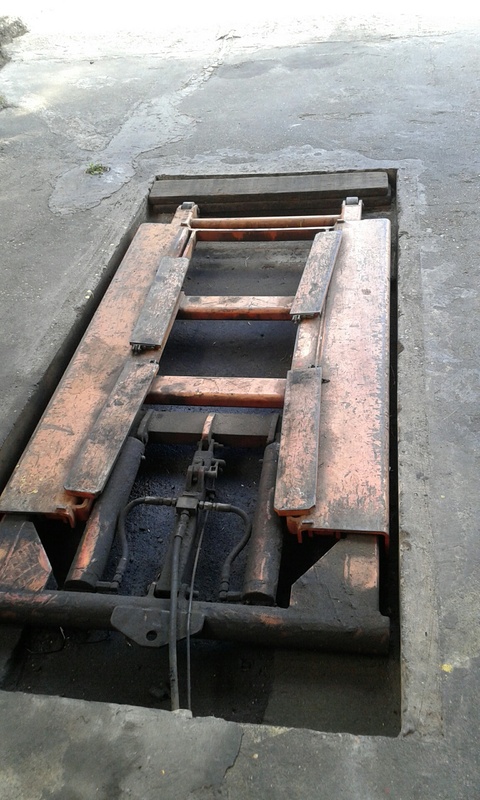 We found instances where safety cages were removed from their machines (See image 4) . In one instance, there was a rotating wheel that inserts into a metal ring into truck tyres under pressure there no safety guards in place. If the machine is started and the ring is improperly inserted the ring could become disengaged from the tyre and because of the force exerted on the ring and tyre. This in turn can hit an employee or members of the public that are seated on the bench or standing nearby causing serious damage even death. It was also noted that jacks and other lifting equipment were poorly maintained. There were large accumulations of oil, grease and dust on them that could cause these equipment to malfunction causing crush damage or dismemberment . Categories: Downside of poor safety, Hazards, Physical Hazards, Unsafe acts or conditions | Tags: biological hazards, changing a tyre, employee, Ergonomic hazards, Hazard Prevention, Hazards, health, Improper workplace practices, mechanical hazards, OSH checklist, OSHA, personal protective equipment, physical hazards, risk, safety | Permalink.